We all know that a new Moto G is coming very soon, probably at Motorola's "find your match" event on July 27th. Someone over at Moto HQ must have an itchy trigger finger, though. The Moto Maker page for this phone was available on Motorola's website for a short time today before it was pulled (redirects to the homepage now). We do, however, have a screenshot of the configuration options courtesy of a Reddit user. As with the last two Moto X phones, the Moto G will have white and black front panels and a bunch of rear colors (looks like 10 right now). You'll also be able to choose from 10 different metallic accent colors, and there are FlipShell add-on cases as well. The most interesting customization option is the memory/storage. The screen lists an 8GB variant and one with 16GB and 2GB of RAM. Presumably the 8GB comes with the base 1GB of RAM. Still not convinced? The promo text this year reads, "The new Moto G exactly the way you want it. 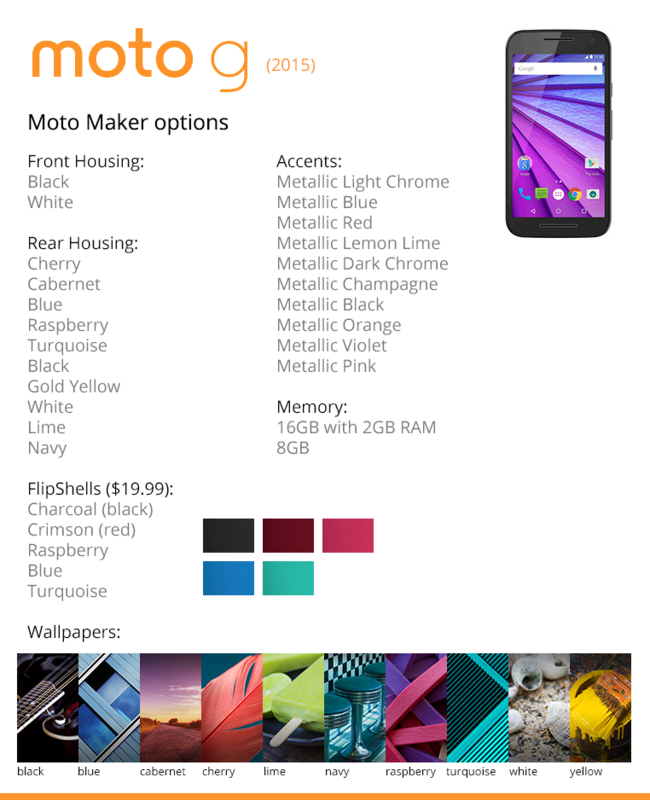 Choose your front and back colors, storage and memory, and more." Double the RAM makes this phone much more interesting, but we'll have to wait to see what the price is like.